Took Granny out for some fresh air….. I know, many of you are maybe kind of over “Granny” by now…. I was a little late on the granny square train and things are taking a bit longer to finish these days so bare with me if you will. I’m one bottom panel away from being officially finished but it was such a lovely spring day here, I couldn’t resist taking Granny outside for a little photo shoot. My sweet Miss A, is becoming quite comfortable behind the camera. A candid shot here and there is how we roll here. 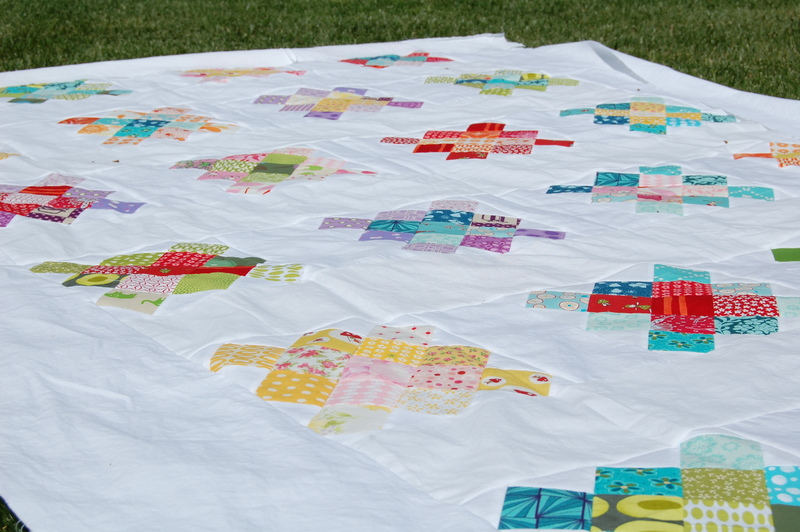 I’m so excited to get this quilt basted so I can start quilting. I am not sure what I’ll do yet for the quilting lines…..
but I’m sure some ideas will come to me during the long hours of basting this-my biggest quilt yet! Hoping you all enjoy a beautiful weekend!!! 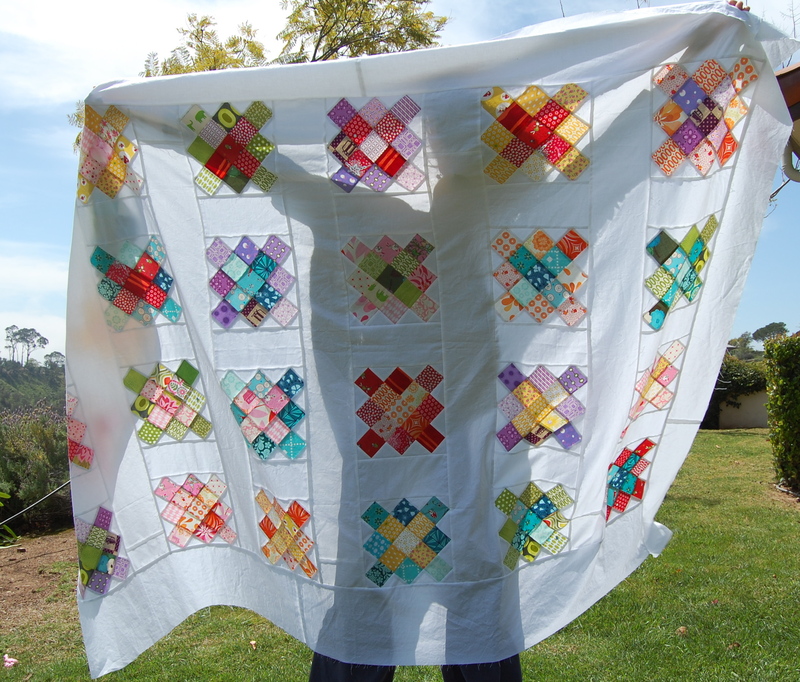 love this quilt, so bright and cheery! I haven’t made one yet, but it’s on my list. I’m not over Granny—it’s beautiful. Can’t wait to see finished product! 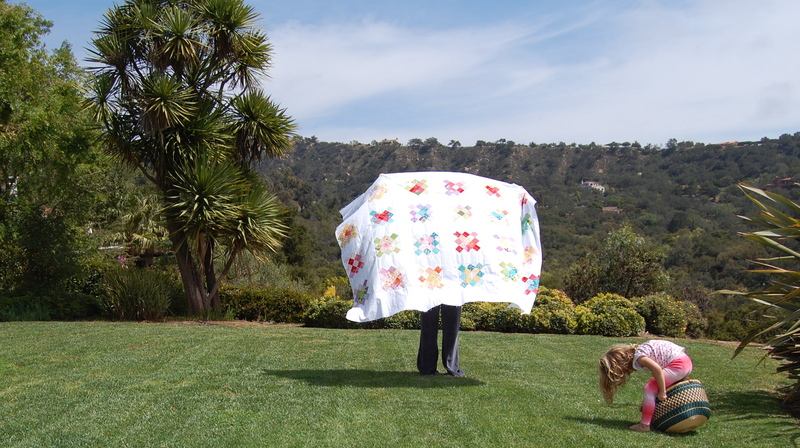 I can’t decide whether you should be a quilter or a writer–maybe both!!!! Oh, it turned out so great! Granny is looking mighty fine. Oh! I love your version of Granny. All of that space inbetween the blocks makes me so happy!! I think my Granny might need some fresh air. Poor thing’s been cooped up in a box. LOL! OMG, you’ve got green grass and sunny warm days! I am so jealous, we’re still working on the last 18 inches of snow still on our lawn. 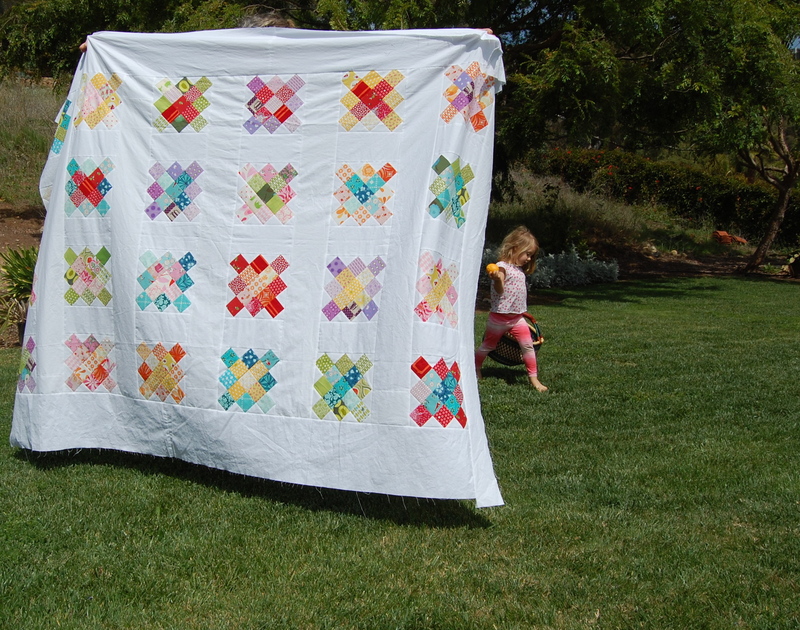 Thanks for the refreshing reminder that summer is on the way sometime… Lovely quilt, great job and happy girls!